BAKERSFIELD, Ca. 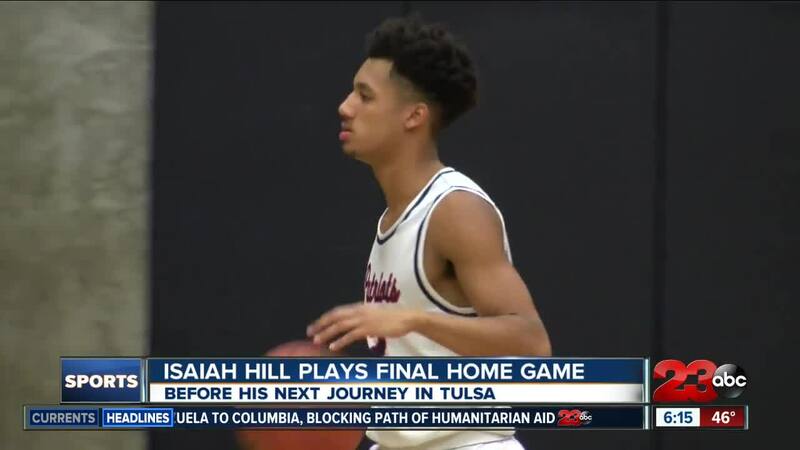 — Before heading to Tulsa, standout guard in Kern County, Isaiah Hill, had to finish out the regular season. Hill did that Tuesday night and despite a close loss to league rival, Bakersfield, he still happily soaked up his final moments on his home court.